Celebrate World Vegan Day with WaterSource! You are here:Home » Product Reviews » Celebrate World Vegan Day with WaterSource! World Vegan Day marks the start of World Vegan Month, the 1st of November every year – celebrating the coining of the term, ‘vegan’ & the founding of The Vegan Society in November 1944. 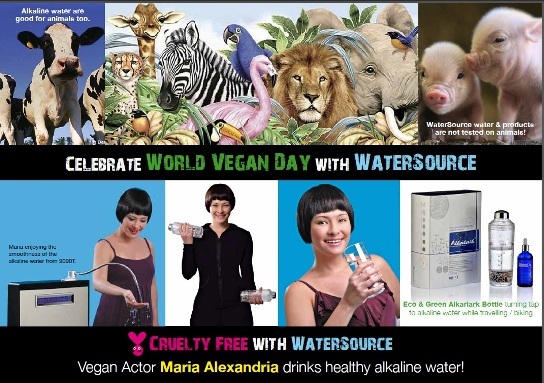 So let's join WaterSource Alkaline Water & celebrate World Vegan Day this month, together with Veganistas like Maria Alexandria & Marie Alexander! Maria Alexandria is a vegan actor as she adores animals. Leading a vegan & eco lifestyle, she is a extraordinary green & philanthropic advocate. She is a sweet, kind & caring person as she loves giving back. Maria gathered friends to her birthday party & got them not to buy gifts but instead to donate money to a charity dear to her heart, Animal lovers Leagues. She does not consume milk, eggs diary or any animal derivatives as she is a vegan. 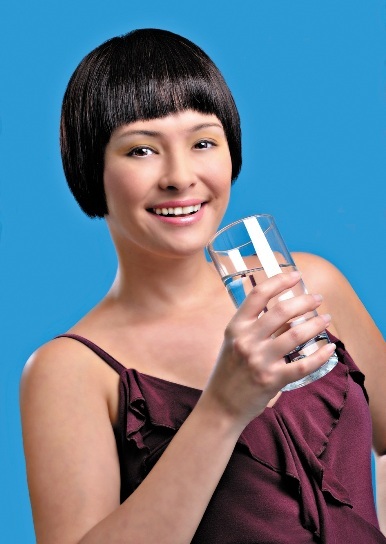 When she discovered WaterSource, she was extremely satisfied & pleased. Maria enjoys drinking the water as it is smooth & healthy towards her body. When she is out & about, she brings out her Eco Alkarlark Pot. The Alkarlark Pot is a portable eco water bottle. It is also essential for travelling. Going to do sports, working out after gym, after a swim, basically it is used for any outdoor activities. The Eco Water bottle turns tap water to alkaline water. 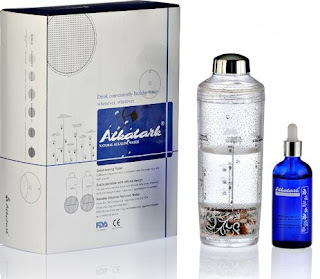 Have you ever used such an amazing water bottle that turns tap to low alkaline water? After discovering WaterSource, Marie has been able to get a full sleep at night. 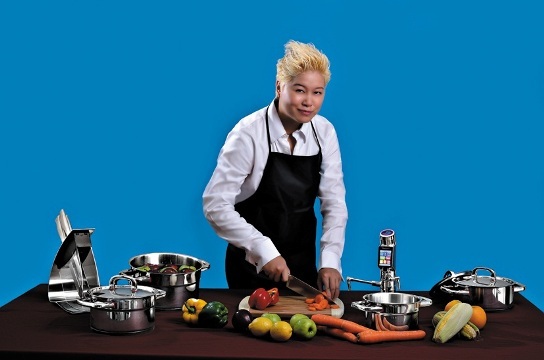 She also cooks her vegetables, mock vegan meats with Alkaline water from her 9090T. 9090T is a turbo machine that generates higher PH level of Alkalinity in the Water. I use WaterSource alkaline to cook rice. You would need to wash the rice with acidic water & soak it in alkaline. It polishes the rice as the rice maintains its freshness in a long period of time. I brew my coffee & tea with alkaline water as it removes the bitterness & it brings out the fragrance of the drinks as well. You can also use WaterSource Alkaline water to soak fresh vegetables, fruits in alkaline for 20-30 min to remove pesticides on them. Cooking soup & broth with alkaline water makes your recipe much more tastier as well. It’s one of my secret ingredients when I cook my vegan dishes in. WaterSource has green & vegan products. It is the only water process that is Recognized by the Ministry of Health & Welfare (Japan & Korea) to have Clinically Proven Medical Benefits since 1965. It is also No. 1 in USA, by an independent research company in USA ionizerresearch.com. 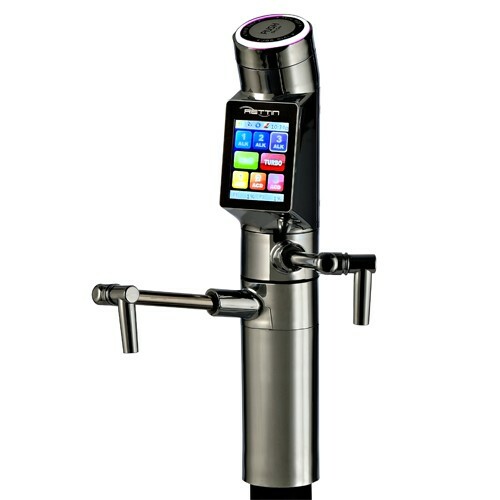 Most of the WaterSource ionizers has an eco button that can save electricity especially the luxurious faucet of 9000T has an auto shut down & standby mode. WaterSource saves the planet as it does not produce water bottles that are made of plastic. Support World Vegan Day now by liking WaterSource Singapore Fan Page now! Good information here, Shirley.. Happy Vegan Day! Reana, Happy Vegan Day to u too! Stella, I'm glad u found the info useful! Enjoy your weekend, sweetie! I used filtered water at home too but i don't think it's akalined. I should look into this because i heard akaline water cleans better and it's good for your skin too. Thanks for the info. DS, that's awesome & thks for sharing with us! SN, thks & have a wonderful day! I don't use all the products that you mentioned above, but I try to be eco friendly as much as possible. I would consider buying this bottle that turns tap water into low alkaline. Thanks for sharing this Shirley! Balvinder, that's so cool! Thks dear, & have a good day! Happy Vegan Day! this looks like a great eco friendly alternative. Bessie, thks & Happy Vegan Day to u too!